The Dirty Dutch House sound has a harder electronic edge than other commercial House genres, and features edgy Drum Machine Beats, Side Chained Bass, 8 Bit Computerized Sounds and Lots of great FX. Included are high pitched Lead Sounds, Tribal Drums, Huge Chords, Glitched Vox and Minimal Grooves. 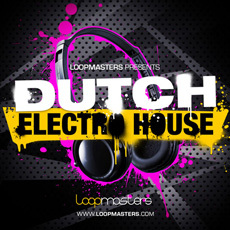 In detail Dutch Electro House includes 28 Bass Loops, 40 Full Drum Loops, 40 Drum Top Loops, 10 Glitched Vocal Loops, 23 Music Loops, 43 Synt Lead Loops and 11 Combi Loops. Produced by Utku S using a wealth of high end studio analogue and digital equipment.